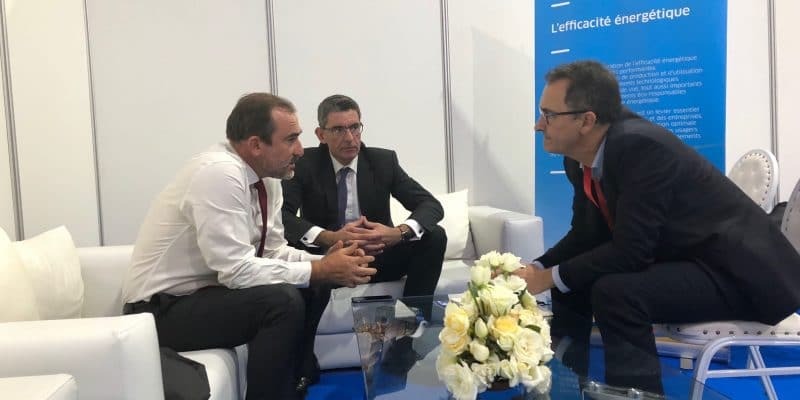 On the sidelines of the 8th edition of the Africities Summit in Marrakech, of which Engie was one of the main sponsors, Afrik 21 interviewed Amine Homman and Philippe Miquel, respectively directors North Africa and West Africa at Engie, a global energy player. A fresh perspective on African ambitions and the group’s next targets. Over the past two years, Engie has acquired several African companies. Appearing as less French as possible seems to be the new paradigm for French companies on the continent? Amine Homman: Philippe is right. And it’s not some kind of complex we’re fuelling. That’s not the point. We do not deny in any way the contribution of a group like ours to Africa, because the expertise has been developed in other markets. On the other hand, in order to be able to respond more effectively to local demands, we must be local. And to do so, we need strong partnerships with local companies. Especially since more and more calls for tenders in Africa insist on local content so that infrastructure dedicated to economic development can create jobs on the spot. Moreover, in Africa there must be about 3,000 people with only 1% expatriates. And what is just so fundamental is the transfer of know-how. As for Fenix International, whose headquarters you recently transferred to Uganda? PM: Fenix is a solar kit solution that has been developed mainly in the Anglo-Saxon world, but for all of Africa. And which we bought back a year ago. So we have just moved the headquarters from San Francisco to the United States in Uganda. But that’s not the main issue. The most important thing to remember is the transfer of competence. And so, Engie’s shopping in Africa is over? AH: You know, the Africa BU was created in January 2016 to be able to meet the needs of the African market and offer solutions for Africa based on all the skills available to the group. In particular on the different transversal solutions that we deploy, but also by adapting our offer to the specificity of the different African countries. We operate in three main sectors of activity, namely low-carbon energy production (mainly renewable energies or natural gas), energy infrastructure (gas terminals, electricity or gas distribution networks) and energy services… The acquisitions we make are intended to create a transversal and local energy services platform that range from design, installation to maintenance, energy performance and energy efficiency services, with local players. The Engie group has more than 150,000 employees. But we already have over 100,000 people in energy services. It is therefore inherent to the group’s activity. On the other hand, what is relatively new is that we are offering this service in Africa, thanks to our partners. There are some more or less mature markets that already use outsourcing of this type of service: facility management, multi-technical maintenance, heating or cooling network … air conditioning and street lighting. These are the complete solutions we offer: we can invest, build the infrastructure and operate it over the long term with a commitment to quality performance. Energy efficiency, about which little is said, is a big issue for you? AH: Yes, it is a paradox. Because all States have committed themselves to reducing their greenhouse gas emissions, particularly at COP21, and all projection studies show that these objectives will not be achieved without energy efficiency. However, it is not a subject that is always understood or whose full scope is still being measured. How is the choice made between the different networks, centralised or not? AH: The systems will coexist. But all the centralised, with the colossal investments it would require, amounting to some $400 billion on an African scale, would require an extremely long-time horizon to electrify Africa. PM: Yes, this old world, as described by Amine, is responsible for the very low rural electrification rate in Africa. It is now necessary to change software and move from the logic of the lowest “production cost” deployed on a network to that of the lowest “access cost”. How much does it cost to connect someone? This is the question that must be asked, depending on the distance to the central network. The World Bank calculated that between 2000 and 2014 its rural electrification programmes in Africa, through the central grid, cost about $4,000 per connection. Today, connecting someone with a mini-network is between $500 and $800. A solar kit runs between 150 and 300 dollars, exceptionally it goes up to 600 dollars per connection. So the whole economic equation depends on the distance to the network and the population density to be served. Especially since it is possible to connect these mini-networks to the central network later on. But well … there are still some African States that do not understand all the possibilities of energy decentralisation and keep a strictly focused vision on central networks. In this regard, you have won several contracts with Meridiam for solar power plants connected to the central grid in Ivory Coast. How do you work with Meridiam and other investors on these projects? PM: In Senegal we have already built two power plants for Meridiam, Santhiou-Mekhe and TenMerina. We were not investors in these projects. Solar energy is the only activity where we have our own EPC: Engie Solar. We were therefore EPCist and also operators of these two plants. As part of the Scaling Solar initiative, we were recently selected for two solar power plants in Kahone and Kael. And here, for the first time, we are co-investors alongside Meridian and Fonsis [Senegalese sovereign fund, editor’s note]. On large investments, linked to central networks, we like to be in partnership, among other things to share risks. Especially with Meridiam, with whom we do very well. AH: On this kind of heavy investment, one is never alone. For example, the construction of a thermal power plant in Morocco is being completed. We are still talking about a $2.5 billion investment. In these cases, we often go with local partners and other investors who share the risk with us. What energies are you focusing on, in Africa? AH: Yes, of course, in East Africa. PM: We’ll look into it. And if there are opportunities, we’ll go. AH: Yes, especially since renewable energies need natural gas to compensate for the intermittency of production. In this context, natural gas is the easiest to use and the cleanest energy. When the country has it. PM: Finally, since we are talking about Africa, there are still many countries that are very well endowed. AH: And when there is none, we can bring it in, thanks to infrastructure, such as an LNG terminal, or other. For all these energies, what are the major calls for tenders you are currently engaged in, concerning North Africa? AH: There are several important tenders in North Africa for centralised electricity grids, including solar power. In Morocco, the Masen agency will launch a programme for about 1,000 MW of photovoltaic energy, which we will be going for. There is a major call for tenders that will come out, probably by the end of the year, to overcome intermittency problems, which can be solved from gas, or by energy storage solutions (batteries, hydraulic storage, molten salt storage…). And so, Morocco will issue, perhaps in the first half of 2019, an important call for tenders for what is called the “Gas to power”, i. e. an LNG terminal and a gas network that will be a kind of backbone, which will supply a number of power plants, which will also have to be built. Overall, the investment is estimated at $4.5 billion. Knowing that there is already a call for expressions of interest that has taken place. There are also various calls for tenders for public lighting. The city of Kenitra has launched one for about 60,000 light points, to which we are responding next week. The city of Rabat will soon launch a call for tenders for public lighting. And we will respond by providing solutions for the supply, to some extent, of renewable energy. And elsewhere than in Morocco? Tunisia has also launched calls for tenders on wind power and photovoltaics, on which we are present. We also answer there on a cold network in the Tunis region. In Egypt we are building a wind farm and currently discussing its extension. We also offer answers on energy services for the great Cairo museum. There, there is an important call for tenders that will be launched on facility management and energy efficiency. What are your projects in West and Central Africa? PM: In West Africa, we have a 50 MW wind power project in Ghana that is progressing well. We have projects in the centralised in Cameroon and Nigeria. We’re looking at things in Ivory Coast. Interest in Senegal’s projects continues. In addition, we are building eight mini-grids in Gabon for 2.2 MW. There are a number of tenders in the mini-grids that will come out in Nigeria, unlocked by the World Bank, supported by the International Finance Corporation (IFC), and developed by the Rural Electrification Agency. Now we’re talking about 150 mini-networks. Tenders are expected from Benin, Togo and Burkina Faso. These are quite significant numbers of mini-networks. Finally, on solar kits, we started in Ivory Coast, after Uganda and Zambia. And we are interested in several other countries in the Central and West Africa zone, in order to develop these solar kits. AH: In Ethiopia, we are ready to participate in Independent Power Producer (IPP) projects to be launched in early 2019 on hydro, as well as photovoltaic IPP projects and also decentralised projects. In Kenya we are working on the development of a PV project, geothermal projects and decentralised projects. And finally, in Southern Africa? PM: We are looking into centralised renewable energy production projects, gas-to-power projects, mini grids and opportunities in the B2B market.